This page contains all the information available for Skrelp in Pokemon Ultra Sun and Moon including all moves (Level Up, TM, Egg, and Tutor). Poison Touch May poison a target when the Pokémon makes contact. 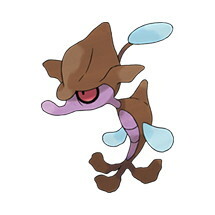 Adaptability Powers up moves of the same type as the Pokémon.